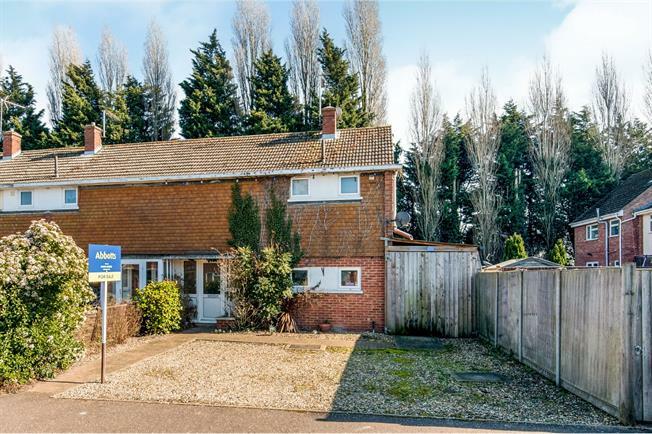 2 Bedroom End of Terrace House For Sale in Thetford for Offers in excess of £140,000. This property's price has dropped from £150,000 to Offers in excess of £140,000. FEATURED IN THE BIG OPEN HOUSE. Offered chain free. Step inside the lobby that leads to the open plan living/dining room space. There is a useful door to the side that leads to the driveway that runs to the far side of the house. Both of the bedrooms provide double space and there is a three piece bathroom to the first floor. The property boasts ample space to the front for parking, plus double gates to the side that lead to further parking. There is a covered terrace to the rear and a mainly lawned rear garden, with a variety of outbuildings.